Local veterinary community comes together to spay and neuter 80 cats! 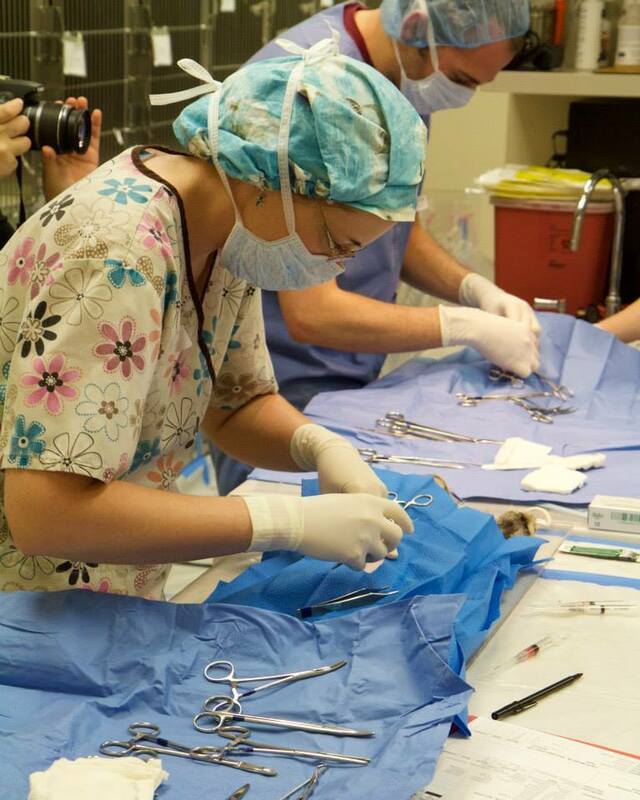 Last weekend, LVH’s Dr. Lauren Kloer volunteered her time to help spay and neuter over 80 local cats! The event was Loudoun County’s first community TNR (Trap-Neuter-Return) clinic and brought together seven veterinarians from a variety of Loudoun County practices and numerous volunteer support staff – all in effort to reduce overpopulation and maintain the health of our local feral cat communities. 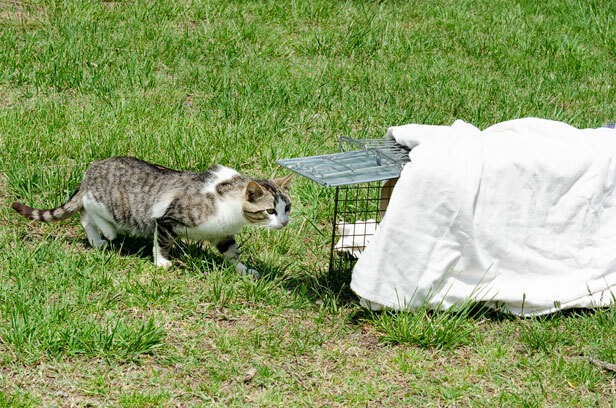 The event was made possible by the Humane Society of Loudoun County and Caring Hands Animal Support and Education (CHASE) – a local non-profit organization whose goal is to provide veterinary support and education about feral cat colonies. CHASE is committed to making a positive impact on communities by reducing the overpopulation of cats and dogs and decreasing animal suffering through compassionate care. Feral cats are often given a bad rap, but can happily coexist with humans. They prefer to live outdoors without human socialization. It is not recommended to try and “rescue” a feral cat and bring them to an overcrowded pound or shelter, where they will most likely be euthanized. Instead, the most humane and effective way of controlling overpopulated cat colonies is through TNR programs. Last weekend’s TNR program took place at Towne Animal Clinic. Prior to the clinic day, the colonies were identified and trappers were out 1-2 days and nights before the event. The day started out very early as the volunteers headed to the colonies to humanely trap and transport the free-roaming cats to the clinic. At the clinic, the cats were spayed or neutered, vaccinated, microchipped, and treated for parasites. While the cats were under anesthesia, they all had their ears tipped (surgically cropping 3/8″ off the tip of the left ear). Ear-tipping is the most effective and universally accepted method to identify a spayed/neutered and vaccinated feral cat from a distance, to make sure they are not trapped or undergo surgery a second time. The entire event was extremely organized, as all cats were observed following their procedures, and returned back to their natural habitat the next day. To view some great pictures from the event and of the cats in their natural colonies, visit Towne Animal Clinic’s Facebook photo section. We encourage you to read more about the importance and benefits of TNR programs on CHASE’s site. We’re so proud of Dr. Kloer and all of the veterinary volunteers for helping our Loudoun County community cat colonies! ← Help make a difference in the lives of our local adoptable pets through shelter enrichment.